It’s been a busy week filled with Christmas programs, holiday parties, basketball tournaments, and all of the other little things that happen on a day to day basis when having a family of 5! 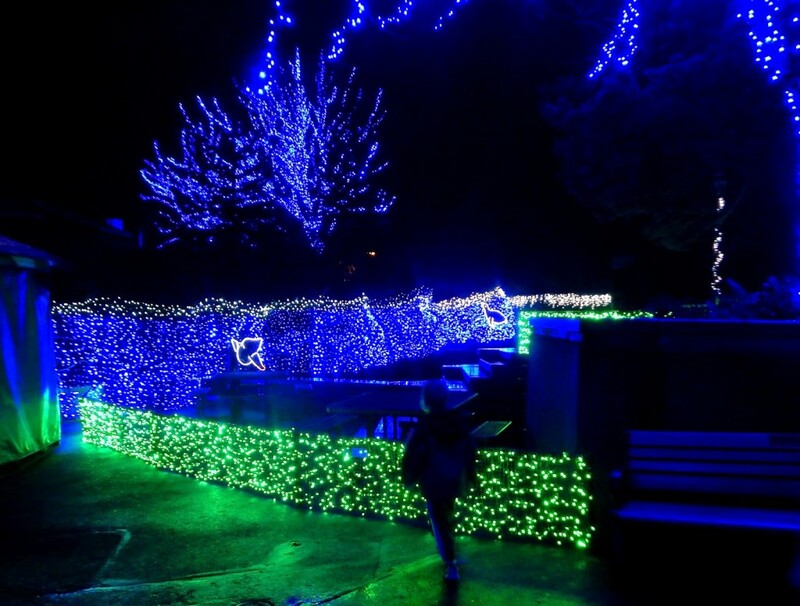 Last week we drove up the Oregon Zoo for our annual Zoolights visit. 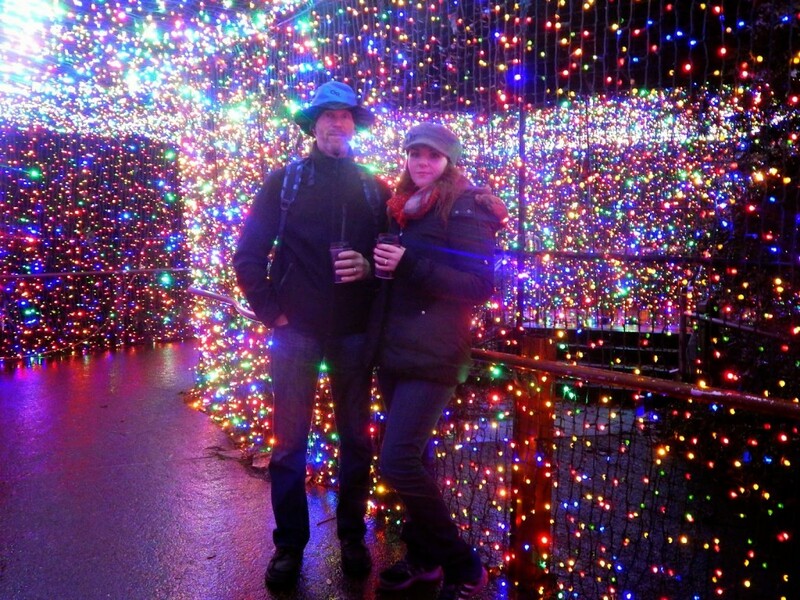 Last year was actually our first year seeing the lights and we enjoyed the evening so much we’ve decided to add it into our festivities every year. 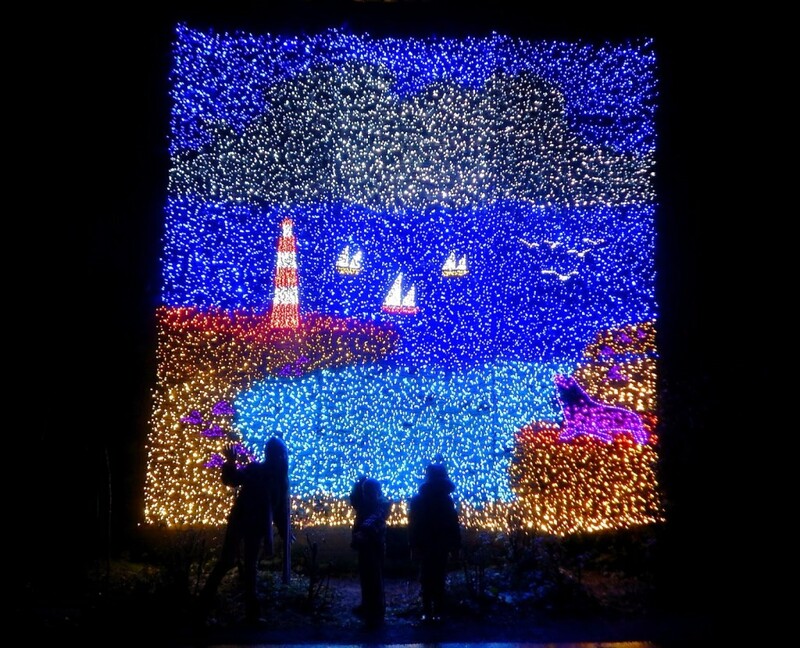 This year we were very lucky because there was no rain and it wasn’t too cold (unlike last year) so our coats and gloves with a cup of hot cocoa made the evening perfect. 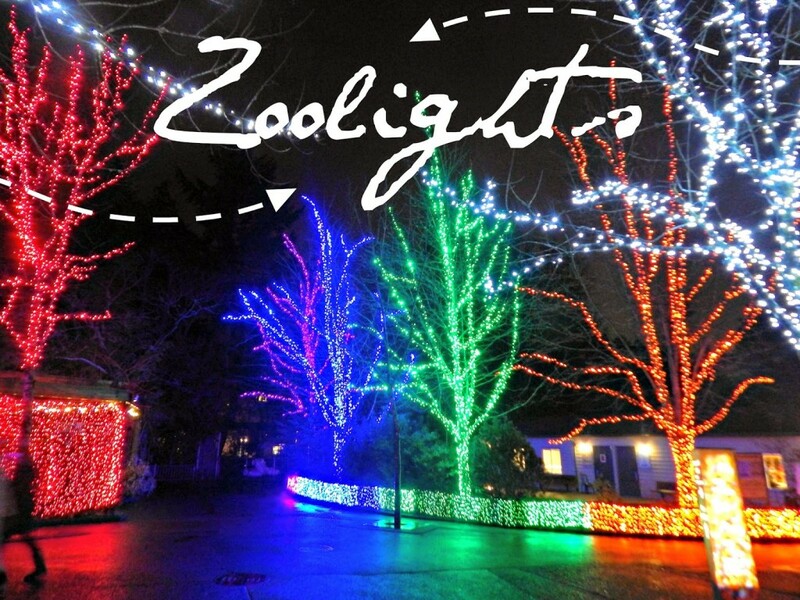 If you’ve never been to the Zoolights exhibit before, here’s the rundown – the Zoolights begin at 5pm every evening and you get to walk around the zoo and see tons of magical lights and exhibits. Most of the animals are sleeping, but there are some nocturnal animals that you can still visit. We actually went and saw the elephants and watched them eat dinner, and (bonus!) got to warm up inside of the building. There’s something so magical about walking around together as a family with hot chocolate in hand, admiring the twinkling lights and the atmosphere. It’s something that I know will create good memories that my kids will fondly remember when they are older. 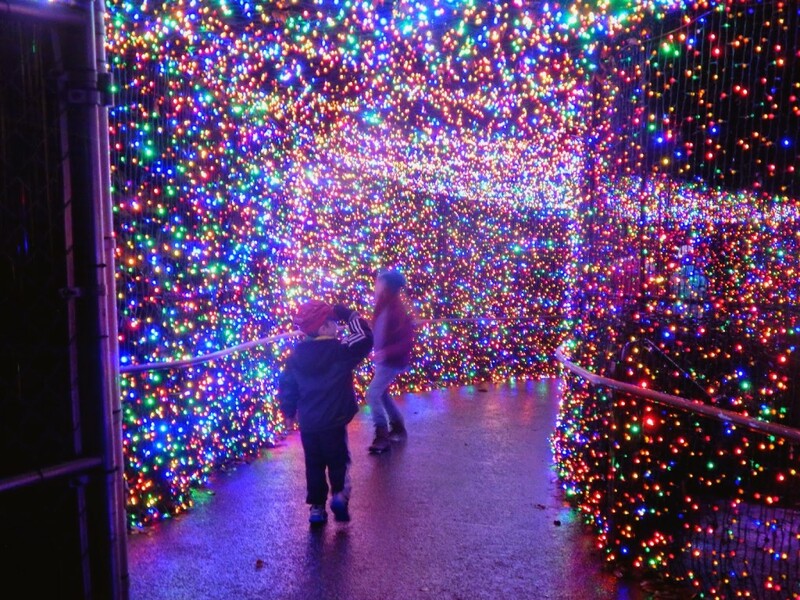 If you are planning on heading up to Zoolights (which runs until January 4th, 2015) I’d recommend dressing with multiple layers, buying disposable hand warmers (they have some to purchase in the gift shop), and drinking lots of peppermint cocoa! Sunday–Thursday: gates open 5 p.m. to 8 p.m.
Friday–Saturday: gates open 5 p.m. to 8:30 p.m. Grounds remain open an hour after gates close. 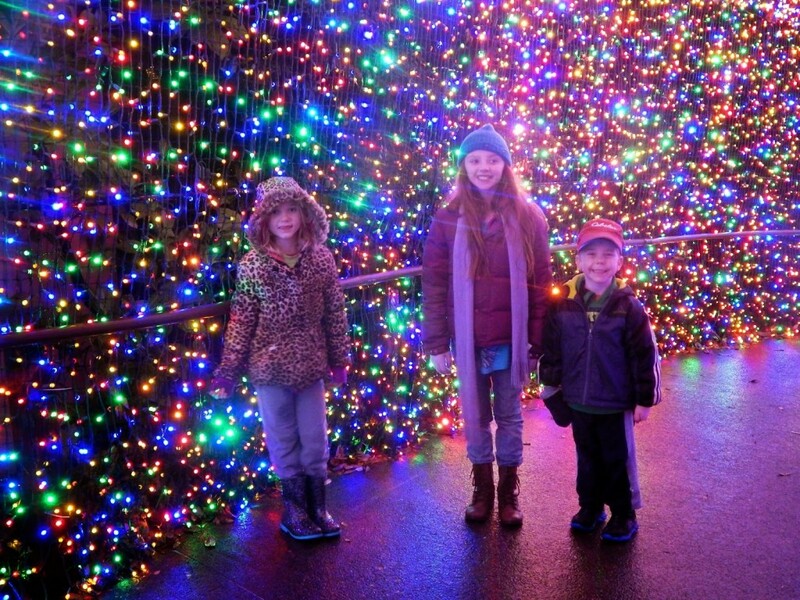 ZooLights is closed December 10, 24, and 25. 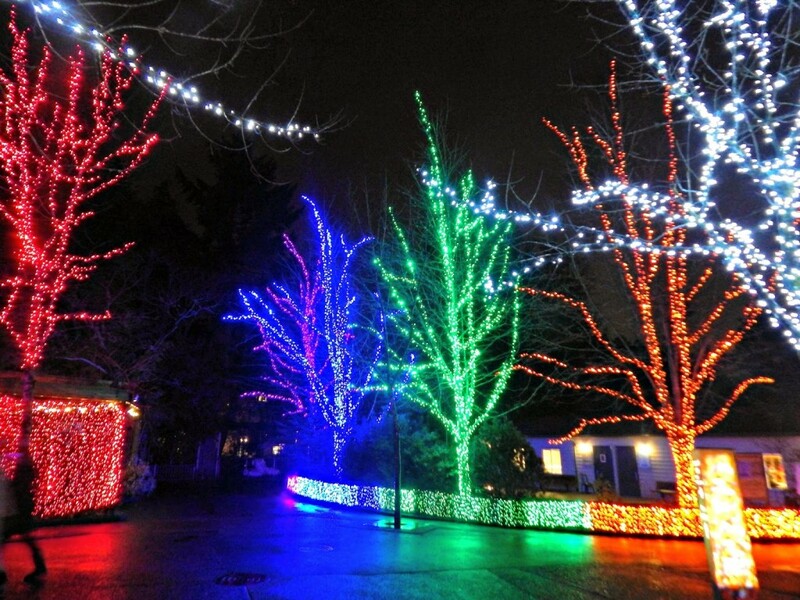 * I was given complementary passes to the Oregon Zoo Zoolights, no other compensation was received. All opinions are my own. If you’d like to work with MelissaKaylene.com please visit HERE for more info. I am glad to see the train up and running.